Muralidharan, B., G. Gopu, S. Laya, C. Vedhi and P. Manisankar, 2011. A study on preparation and use of nano polypyrrole and nano poly (3,4-Ethylenedioxythiophene) coated glassy carbon electrode for the determination of antihistamine in pharmaceutical and urine sample. Mat. Sci. Appli. Vol., 2, (In Press). 10.4236/msa.2011.28128. Muralidharan, B. and S. Laya, 2011. A new approach to dyeing of 80:20 polyester/cotton blended fabric using disperse and reactive dyes. ISRN Mater. Sci., Vol. 2011, 10.5402/2011/907493. Muralidharan, B., G. Gopu, C. Vedhi and P. Manisankar, 2009. Determination of analgesics in pharmaceutical formulations and urine samples using nano polypyrrole modified glassy carbon electrode. J. Applied Electrochem., 39: 1177-1184. Muralidharan, B., R. Rajan, S. Mohanan and M. Selvaraj, 2006. Anti fouling properties of eco-friendly marine cynobacteria (Lyngbya) incorporated protective coatings in Gulf of Mannar. Asia Pacific Coatings J., 19: 20-26. Muralidharan, B., R. Rajan, S. Mohanan and M. Selvaraj, 2006. Anti fouling properties of eco-friendly marine cynobacteria (Lyngbya) incorporated protective coatings in Gulf of Mannar. Asia Pac. Coat. J., 19: 20-26. Muralidharan, B., G. Gopu, C. Vedhi and P. Manisankar, 2005. Voltammetric determination of analgesics using a montmorillonite modified electrode. Applied Clay Sci., 42: 206-213. Muralidharan, B., T. Mathanmohan and J. Ethiraj, 2004. Effect of Acetonitrile pretreatment on the Physico-chemical behaviour of 100% Polyester Fabric. J. Appl. Polym. Sci., 91: 3871-3878. Muralidharan, B., G.P. Kalaignan, S. Alwarappan, T. Vasudevan and V. Iyer, 2000. The adsorption of C.I. direct red 73 on the mercury electrode from different base electrolytes. B. Electrochem., 16: 539-543. Muralidharan, B., L. Ammayappan and J. Ethiraj, 1999. Dyeing of nylon 6 using Ethylene glycol/Hydrogen peroxide redox system. Text. Indus. J., 37: 65-71. Muralidharan, B., G.P. Kalaignan, R. Muthuramalingam, A. Gopalan and T. Vasudevan, 1999. Studies on electrochemical behaviour of Aluminium and its alloys in alkaline media. B. Electrochem., 15: 42-46. Muralidharan, B. and M. Shanmugasundaram, 1999. A study on the redox system assisted dyeing of silk with Kemacid yellow 2G. Text. Indus. Trade J., 37: 107-115. Muralidharan, B. and D. Chidambaram, 1999. Effect of NBSASS pretreatment on polyester. Ind. Text. J., 11: 82-84. Muralidharan, B., T. Vasudevan, S. Muralidharan and S.V. Iyer, 1998. Inhibition of corrosion of mild steel in acidic solution by quarternary salts of pyridinium bases. Anti-Corrosion Methods Mat., 45: 120-126. Muralidharan, B., S. Krishnan and J. Ethiraj, 1998. Ethyl methyl ketone assisted dyeing of polyester with disperse dyes. Man Made Text. Ind., XLI: 529-533. Muralidharan, B., S. Alwarappan, T. Vasudevan and V. Iyer, 1998. Adsorption of C.I. direct brown 2-A Bisazo direct dye from different base electrolytes. B. Electrochem., 14: 231-234. Muralidharan, B., S. Alwarappan, T. Vasudevan and S.V. Iyer, 1998. Influence of anions on the adsorption of thiophenol at the mercury/aqueous solution interface. J. Electrochem. Soc. India, 47: 89-93. Muralidharan, B., S. Alwarappan, T. Vasudevan and S.V. Iyer, 1998. Effect of substituents on the adsorption of organic sulphides at the mercury/solution interface. J. Electrochem. Soc. India, 47: 94-98. Muralidharan, B., M. Shanmugasundaram, S. Selvakumaran and L. Vanathaian, 1998. Dyeing of silk with an acid dye involving ammonium persulphate-Thio urea redox system. Man Made Text. Ind., 41: 475-480. Muralidharan, B., L. Vanathaian and J. Benjeba, 1998. Dyeing of polyester with polyester/cotton blend fabrics with vat dyes. Text. Indus. Trade J., 36: 118-124. Muralidharan, B., J.J. Moses and V.G. Kulkarni, 1998. Dyeing of wool with reactive and azoic colours. Am. Dyestuff Rep., 87: 30-35. Muralidharan, B. and V. Shylaja, 1998. Studies on benzyl alcohol assisted dyeing of wool with acid dyes. Man Made Text. Ind., 41: 429-433. Muralidharan, B. and R. Thirunavukarasu, 1998. Studies on the dyeing behaviour of amines pretreated wool with reactive dyes. Man Made Text. Ind., 41: 7-11. Muralidharan, B., J.J. Moses and V.G. Kulkarni, 1997. Reactive and azoic dyeing of silk. Man Made Text. Ind., 41: 165-171. Muralidharan, B., J. Jeyakodi Moses and V.G. Kulkarni, 1997. A new trend in silk dyeing with reactive and azoic dyes. Am. Dyestuff Rep., 86: 49-54. Muralidharan, B. and R. Thirunavukarasu, 1997. Role of some amines in dyeing of wool with reactive dyes. Text. Indust. Trade J., 35: 94-97. Muralidharan, B. and P. Jeyakumar, 1997. Improved dyeing of nylon 6 with acid dyes using monochloro acetic acid. Text. Indus. Trade J., 35: 61-65. Muralidharan, B. and N. Ramesh, 1997. Pretreatment and dyeing of nylon 6. Ind. Text. J., 108: 100-104. Muralidharan, B. and L. Ammayappan, 1997. Dyeing of nylon 6 with Sandolan yellow E-2G involving redox system. Man Made Text. Ind., 60: 331-336. 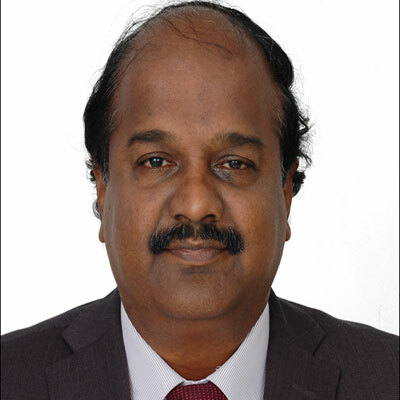 Muralidharan, B., M.A. Kadir, G.P. Kalaignan and T. Vasudevan, 1996. Electrochemical behaviour of addition agents impregnated in nickel oxide electrodes. B. Electrochem., 12: 201-205. Muralidharan, B. and N. Ramesh, 1996. Effect of Benzoyl amine pretreatment of the dyeing behaviour of nylon 6 with basic dyes. Ind. Text. J., 107: 52-56. Muralidharan, B. and M. Sukumaran, 1996. Improved dyeing of polyester with disperse dyes. Text. Indus. Trade J., 34: 108-113. Muralidharan, B., S. Kasturibai, P. Manisankar, G.P. Kalaignan and T. Vasudevan, 1995. Hexadecyl pyridinium chloride as corrosion inhibitor for aluminium-2S in hydrochloric acid. B. Electrochem., 11: 107-110. Muralidharan, B., G.P. Kalaignan, P. Manisankar, A. Gopalan, T. Vasudevan and N.T. Nevaditha, 1995. Cyclic voltametric studies on the electrochemical reduction of congred. B. Electrochem, 11: 206-209. Muralidharan, B., G.P. Kalaignan, C. Umaprakatheswaran, A. Gopalan and T. Vasudevan, 1995. Electrochemical behaviour of addition agents impregnated in cadmium hydroxide electrodes for alkaline batteries. J. Power Sour., 55: 53-62. Muralidharan, B., A. Rathinakumar, G.P. Kalaignan, P. Manisankar, A. Gobalan and T. Vasudevan, 1995. Studies on the electrochemical behaviour of aluminium and its alloys in alkaline media. Trans. SAEST, 30: 120-126. Muralidharan, B. and P. Jeyakumar, 1995. Dyeing of nylon 6 with basic dyes-A modified method. Ind. Text. J., 106: 58-63. Muralidharan, B. and P. Duraimurugan, 1995. Effect of dye fixing agents on the fastness of acid dyed nylon. Text. Indus. Trade J., 33: 109-111. Muralidharan, B. and N. Ramesh, 1995. Dyeing of nylon 6 with Auramine-o Conc.-An improved method. Man Made Text. Ind., 38: 178-184. Muralidharan, B. and N.T. Nevaditha, 1995. Improving the dyeing behaviour of nylon-6 via utilization of redox system. Colourage, 1002: 27-30. Muralidharan, B., S. Jeyaraman and S. Kennedy, 1994. Dyeing of silk using some azoic colours. Colourage, Vol. 41. .
Muralidharan, B., R. Sundar and M. Babu, 1994. Low temperature dyeing of poly acrylonitrile fibre using phenol. Asian Text. J., 3: 34-36. Muralidharan, B., C.S. Babu and D. Nedumaran, 1994. Alkali pretreatments with Reactofix Brill. Red HE-3B. Asian Text. J., 2: 58-61. Muralidharan, B. and P. Amarjothi, 1994. Dyeing of wool with Sandolan Turquoise E-AS using a redox system. Asian Text. J., 2: 75-79. Muralidharan, B. and M. Sukumaran, 1994. Studies on the use of some aliphatic amines for improved dyeing of polyester with disperse dyes. Text. Indus. Trade J., 327-328: 19-23. Muralidharan, B., M. Babu and R. Sundar, 1993. Low temperature dyeing of poly (Acrylonitrile) fibre using M-cresol. Text. Dyer Printer, 26: 22-24. Muralidharan, B., 1993. Disperse dyeing of polyester using formic acid. Asian Text. J., 1: 54-58. Muralidharan, B. and V.D. harmaraj, 1993. Low temperature dyeing of silk using 1:2 metal complex dyes. Text. Dyer Printer, 26: 25-26. Muralidharan, B. and R. Gunasekaran, 1993. A new approach to dyeing of cotton using reactive dyes involving redox systems. Text. Dyer Printer, 26: 24-26. Muralidharan, B. and N.T. Nevaditha, 1993. Modification of dyeing behaviour of nylon-6 using thio urea. Ind. Text. J., 104: 52-55. Muralidharan, B., P. Manisankar, T. Vasudevan, S. Durairaj and K. Gandhinathan, 1991. Voltammetric studies on the reduction of Benzoin oxime on glassy carbon electrode. Trans. SAEST, 6: 264-269.